Johnny Winter, the late American musician famed for his performances at Woodstock, was admired for his high-energy concerts and platinum blond mane. Winter also had a precise sense of style; his denim on denim and shirt-optional looks were always cast in a tinge of country-western charm. Consequently, the Grammy Award-winning artist — who was inducted into the Blues Foundation Hall of Fame and named one of the 100 greatest guitarists of all time by Rolling Stone magazine — made as much of a sartorial impact as a musical one. Acne Studios creative director Johnny Johansson, an admirer of the blues icon's style, pays homage to him this fall in a new capsule collection titled "The Johnny Winter Project." 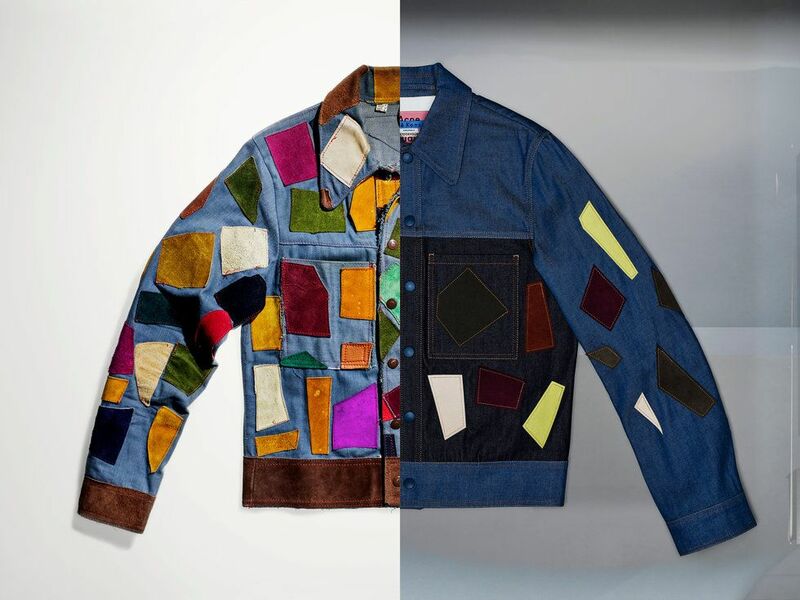 (Left) A denim jacket from Winter's wardrobe; (Right) A denim jacket from The Johnny Winter Project. Pieces from Winter's wardrobe including a denim jacket emblazoned with leather patches, a violet ruffled button-down, and a silky, green bomber jacket informed Johansson's range of varsity jackets, riveted dark-wash jeans, pointed collar shirting. Images of Winter appear alongside his name in graphic text and details like a crescent moon and star accessories and square toe cowboy boots. Available on AcneStudios.com and in select stores starting today, proceeds from the collection Johnny Winter Foundation for the Arts.